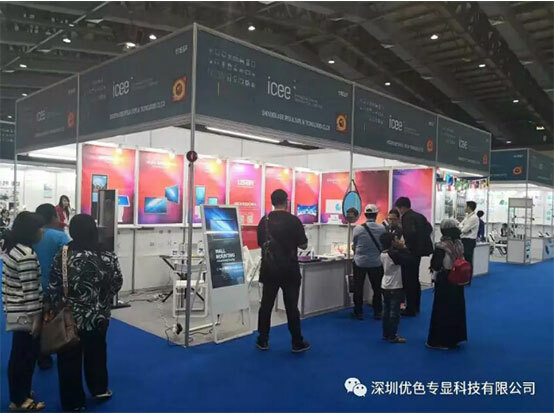 Shenzhen USER Special Display Technologies Co.,Ltd to Present at the ICEE·Indonesia 2018 on December 7th to 9th, 2018 - USER Special Display Technologies Co., Ltd.
ICEE·Indonesia – International Consumer Electronics Expo Indonesia is a professional consumer electronics fair in Indonesia, with the advantages of economic status and geographic location. 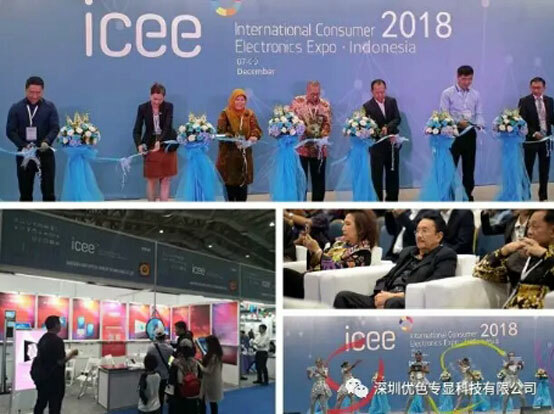 ICEE·Indonesia has been developed as an important supply platform for South East Asia industry that creates opportunities for international companies to initiate their business in the South East Asia market. We did presented our new technological products at the show, such as 55’’ ultra-thin digital signage, A frame advertising display, Conference all in one kiosk with same display on mobile phone function, Face recognition fixed-point push advertising system and 4K solution supper narrow bezel LCD Video wall etc. 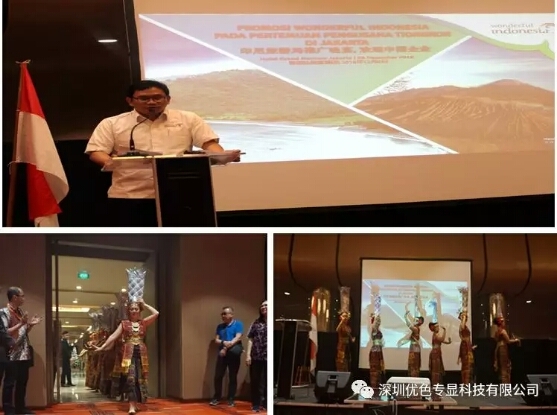 In the 2018 Indonesia Consumer Electronics Show, the commercial display products attracted a large number of victors. USER SDT was one of the leading company in LCD industry from China, working hard to propose our advanced technology product to the world.